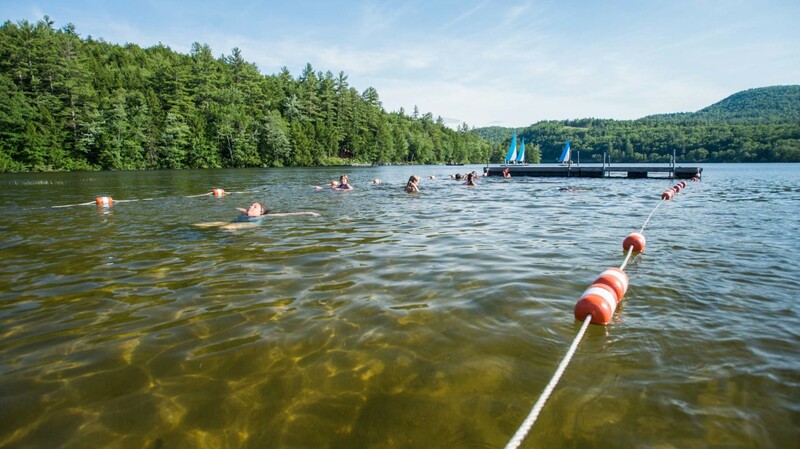 There’s no better place for summer fun than the refreshing waters of Crystal Lake! There are no motorboats on this pristine waterfront, which make it the perfect place for Waukeela’s long list of amazing Water Sports programs. Every girl at Waukeela participates in Swimming instruction but she is free to spend more time at the water trying out another activity. 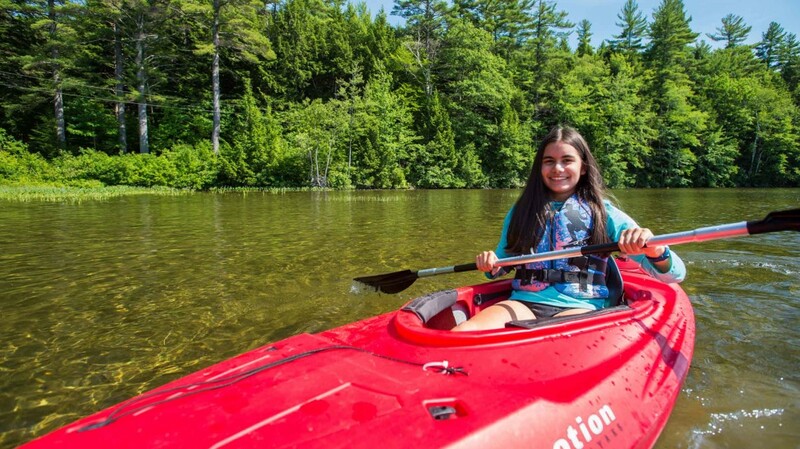 Whether you want to paddle around the lake in a kayak or catch some waves on a windsurfing board, you can always find lots of fun at the waterfront! Safety is key in all of our Water Sports programs. All of our swimming counselors have passed a Red Cross Water Safety Instructors (WSI) course in the previous two years and most have current lifeguard certification as well. 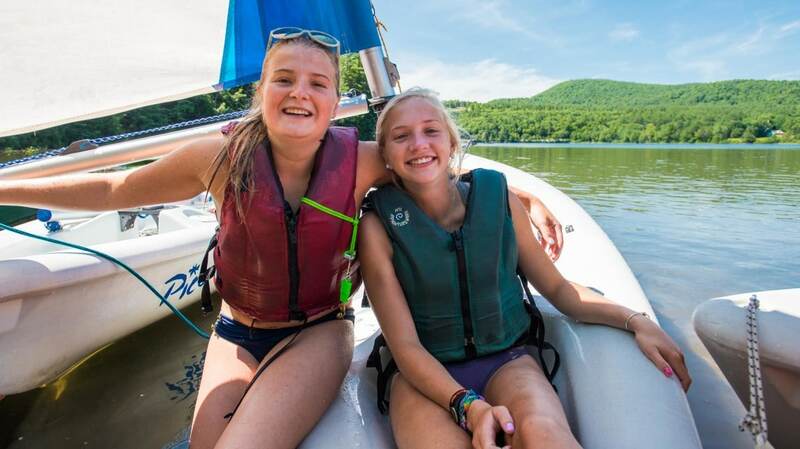 All of our program instructors and counselors are very experienced and supervise every trip out onto the water to make sure our campers are staying safe and having fun. Are you ready to make waves with Waukeela this summer? 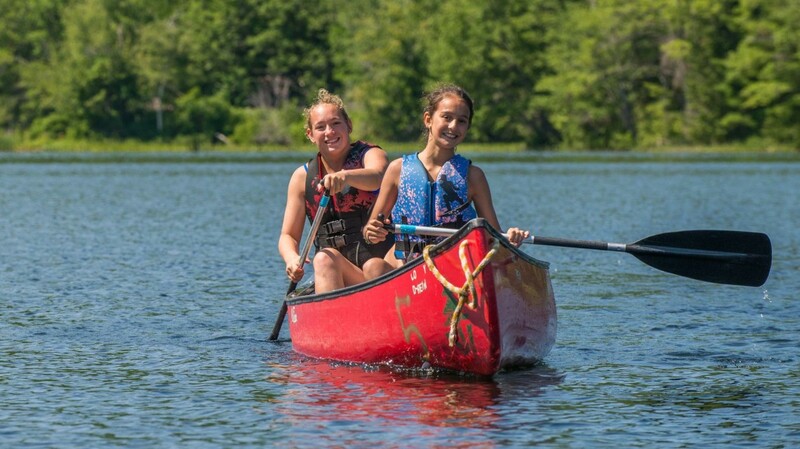 Paddle out with Waukeela this summer in our excellent Canoeing program! 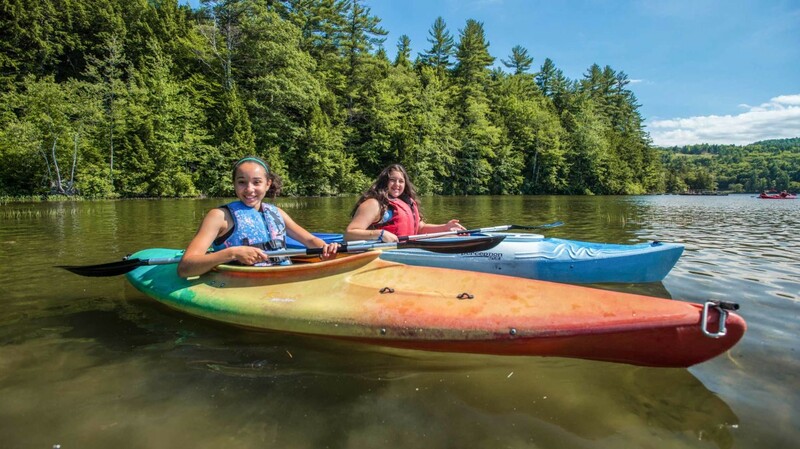 Whether you are a paddling novice or a rapid-reading superstar, Waukeela offers plenty of canoeing adventures that will challenge and enthrall you. 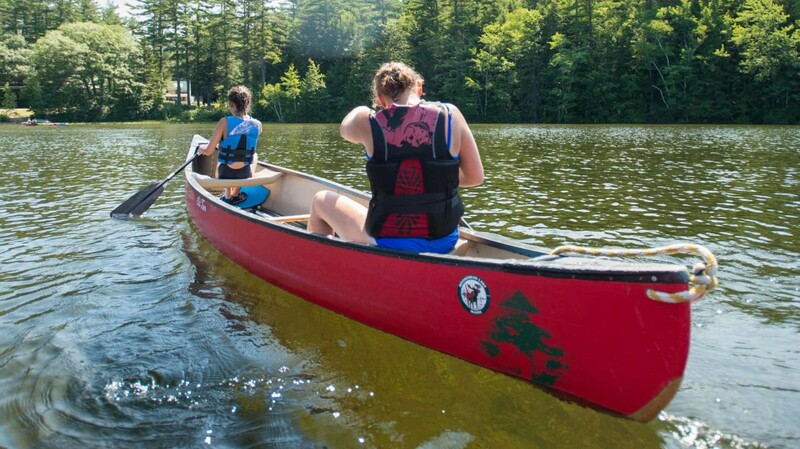 First-time canoeists begin by learning about the different parts of the canoe and paddle and instruction on the four basic strokes of canoeing. 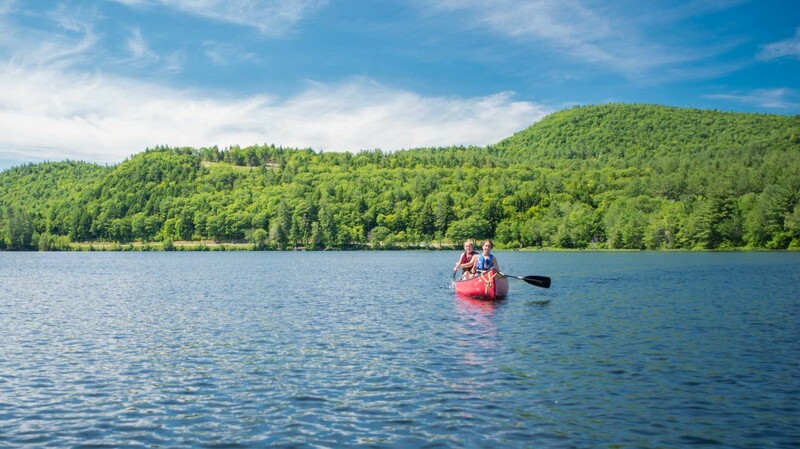 Soon you’ll be paddling out onto Crystal Lake, where you will be showing off your forward, draw, cross draw and pry strokes with confidence in several fun obstacle courses and relay races. Older girls over the age of 12 can learn how to run rapids in Waukeela’s Whitewater Canoe program, part of our Outdoor Adventures. Just keep calm and paddle on! Campers first master balancing and steering with a two-sided paddle in a funyak before proceeding to lessons on how to use a spray skirt and do wet exits from a normal kayak. Once you have mastered these skills, you can work on your strokes and steering with various games on Crystal Lake. 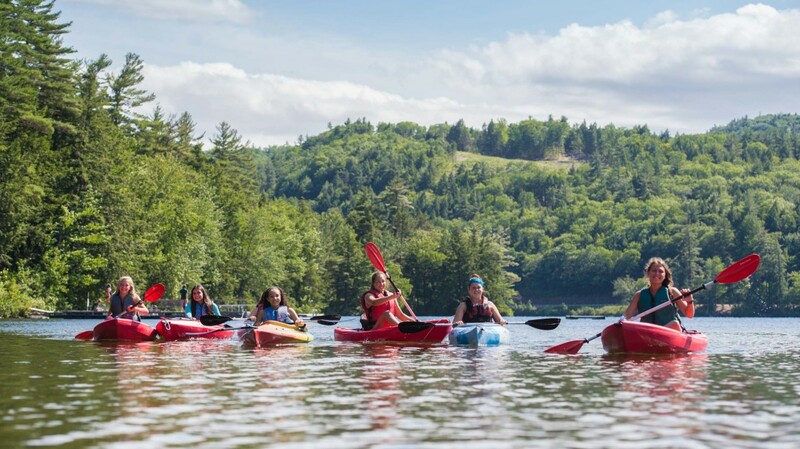 When you have learned how to steer slalom courses and work with the wind, you can join the day trips on nearby flat water rivers for an unforgettable kayaking adventure! Sail Away with Waukeela this summer in our exhilarating Sailing program! 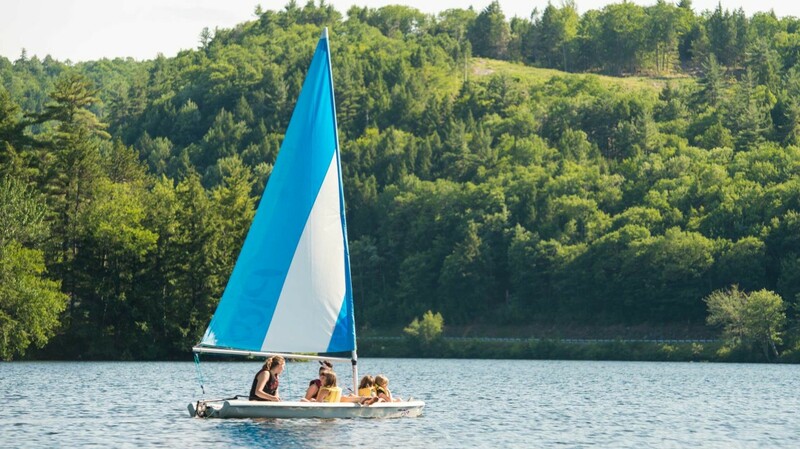 Hop on one of our Laser Pico sailboats to learn the basics of water safety, the various parts of the boat, and how to steer and turn the boats into and out of the wind. Your responsibility and duties in the sailboat will increase as your level of experience and confidence rise, until you are ready to take the tiller under the counselor’s watchful direction. For the seasoned sailors, once you have demonstrated your ability to handle the all of complicated tasks, such as rigging and steering, you can take the boat out with a friend for a solo run, as the sailing counselor observes proudly from a nearby funyak. All aboard for summer fun! 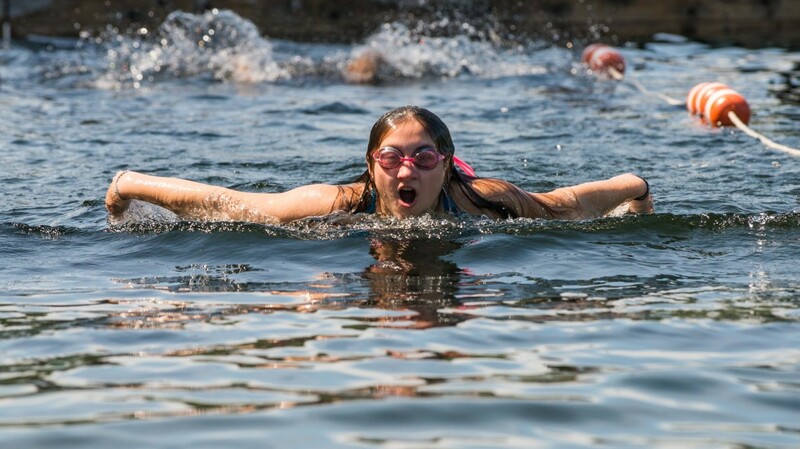 Dive into the cool waters of Crystal Lake with our excellent Swimming program! 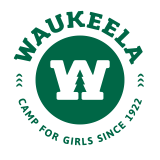 Swimming is an integral part of a girl’s summer at Waukeela and every camper has an instructional swim period once a day with the option for a free swim in the late afternoon. Our goal is to teach every girl how to swim well, not fast. Our instructors work with 3 to 5 campers at a time and chart their progress on a weekly basis through the six standard Red Cross swim levels. For our most advanced swimmers, we have created two additional levels, Neptune I and II, which require mastery of 12 different strokes and four separate dives. Get ready to splash around with Waukeela all summer long! Synchronized Swimming is a Waukeela tradition! This program for our more advanced swimmers focuses on preparing and rehearsing a routine that is performed for the whole camp and parents at the end of each session. In this program, you will learn basic floating moves that are choreographed to some of your favorite songs. Do you have what it takes to stay in sync? Fly across Crystal Lake with our Windsurfing program! Get your feet wet by playing games on the boards to gain your balance and a sense of comfort before moving on to learn how to read the wind and handle the sail. Since the Lake is small and no motorboats are allowed, Waukeela is a the perfect spot to learn this wild water sport.